You can now sync your Misfit Shine fitness tracker with Pebble devices via your Android smartphone. Thanks to an app for Pebble, Misfit stats have been tracked and displayed on the smartwatch for a while. But now Pebble's Misfit app properly integrates with the Shine app for Android which also pulls in data from Misfit's tracker. This isn't so much for users who plan to wear both a Shine and a Pebble smartwatch at the same time - though it could be as the Shine doesn't have a screen. It's actually nudging towards the kind of helpful data swapping that means you can wear different devices for workouts, the office, drinks and sleep and still have all your data in one place. 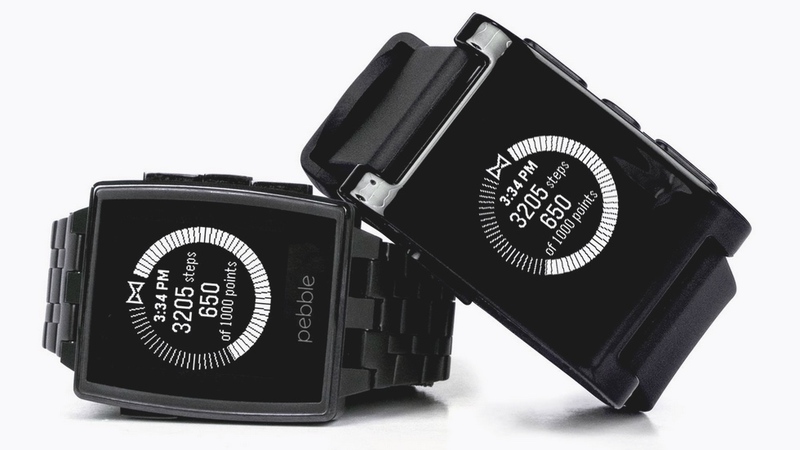 You'll be able to track distance, sleep, calories, steps and more via Pebble and Misfit. Despite full syncing between these two wearables being available for iOS last year, it is good to see it finally coming over to Android. At the time CEO Sonny Vu confirmed that he wants Misfit to be more than a hardware company. "We're delighted to provide our fitness tracking technology to Pebble," he said, "we want to see this capability offered to as many users as possible." Jawbone also has an activity tracking app - well, technically a watchface - for Pebble, providing synced stats to your smartwatch from any of Jawbone's fitness trackers. We've seen fitness companies working together before, with two-way integration becoming a popular idea, but it's good to see it for casual tracking and not just the likes of Garmin devices. Head over to our Forum and let us know your experience with Misfit and Pebble syncing.